You will love this property in Lippstadt, Nordrhein-Westfalen federal land. The property consists of 4 buildings and parking for 215 spaces. 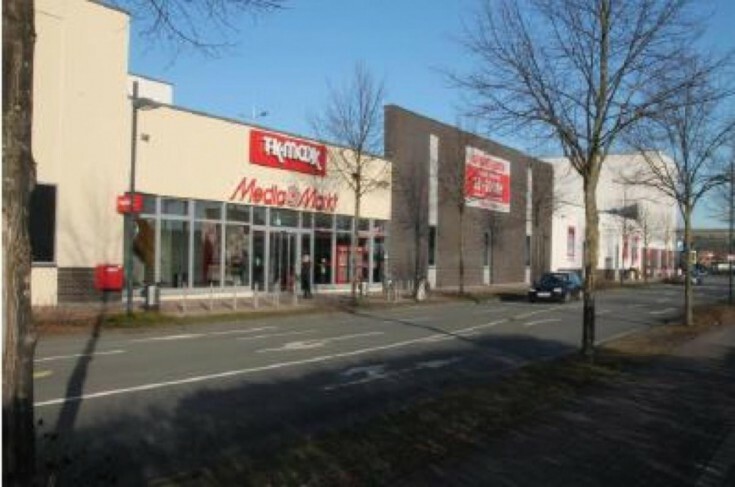 The main tenants is electronics and home appliances stores chain Media Markt. The area it rents is about 3,350 m2. The lease agreement is signed until 2026 with 4 extension options for 5 years each. Chain stores of fashionable women's, men's and children's clothing TK Maxx. The area it rents is about 2,250 m2. The lease agreement is signed until 2022 with one extension option for 5 years. Shoes shop: the lease agreement is signed until 2027, with 3 extension options for 5 years each. The bakery: the lease agreement is signed until 2022 with 2 extension options for 5 years each. The population of the city is about 68,000 people.